Oranges - They're not just for juice! Sure oranges are known for being delicious as a drink, in dishes like orange chicken, or just by themselves. However, oranges also contain special aromatherapy properties when turned into essential oils. Orange is a bright and uplifting scent and when infused into oil, it can help with depression, tension, stress, sleep-deprivation, colds and flu. It is believed that when orange is used in a cream or lotion it also assists the lymphatic system, helping to detoxify congested skin. Although orange is a good general skin tonic, it is great for older more mature skin, helping with dermatitis, acne and soothing a dry irritated skin. The general tonic affect of orange oil seems to stem from the action it has on supporting collagen formation in the skin, which is required for a healthy, young-looking skin. At Laura's Lotions, we enjoy orange in our Creamsicle Orange lotion, made from orange essential oil, aloe vera, and organic olive oil. Pumpkin for your skin? Sure! Fall is right around the corner, and the smell of pumpkin pie not far behind! But you might want to think about using pumpkin on your skin and not just in your food. It turns out that pumpkin seed oil is great for your skin for at least two different reasons - antioxidants and fatty acids. Pumpkin seed oil includes the gamma-tocopherol form of Vitamin E, a known antioxidant. Antioxidants guard your cells from molecules know as "free radicals" which come from various environmental sources and can lead to skin damage. Here at Laura’s Lotions, we have released the first of our new Fall lotions - Sweet Pea Pumpkin which contains natural pumpkin essential oil. To celebrate, we are offering 30% off on all online orders (all lotions, not just pumpkin!) through 8/27. Just visit the website and use coupon code pumpkin2012. Jojoba oil has been used for thousands of years as a moisturizer for skin, but this oil is in fact a liquid wax which has many other benefits for your skin. 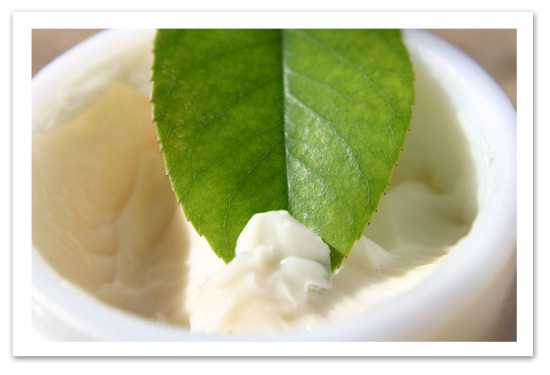 Jojoba oil can be used with all skin types; it is even sensitive enough for your baby. Here at Laura’s Lotions we use jojoba oil in several of our products including: Luscious Lavender, Heavenly Rose, Fancy Violet, Jasmine Gem, Lovely Lily, and Lilac Serenity. When I started Laura’s Lotions last year, I began by researching and experimenting with the natural products I wanted to put into my lotions. I bought an aloe plant and I started putting aloe into my lotions, I read about aloe being able to heal cuts and burns so, I used it for those purposes as well. I learned that you can even rub aloe through your scalp to receive a shiny and healthy look to your hair. I always knew that aloe was used for healing the skin and that Cleopatra used aloe to keep her skin looking youthful, however I recently discovered that aloe can be used to help internally as well. Aloe Vera juice can be used to help aid digestion, relieve ulcers, arthritis and even rheumatism. Who knew that this one amazing plant could harvest so many health benefits for the human body. I will definitely be using aloe for years to come and hopefully you will too. I use aloe in my sensitive skin care line. Sensitive Touch and Baby Balm are infused with this incredible medicinal plant. For the past few months leading up to summer, I’ve been thinking about making a natural sunscreen for Laura’s Lotions. I’ve gone to grocery stores and natural food stores, comparing the ingredients in both natural and traditional sunscreens. I’ve also been researching online the basic ingredients for natural sunscreen and what percentages of these ingredients will help protect your skin from the sun most effectively. It would be great if every person would look at the back of a label so they would see what they were putting on or in their bodies, but not everyone thinks that way. I want to make sure Laura’s Lotions sunscreen will be safe and effective so, I will continue to research and develop this lotion. In the meantime, here is an article that discusses the benefits of natural sunscreens and gives insight about the ingredients of natural vs. traditional sunscreen. Mother’s Day is almost here, every mom deserves to feel pampered and less stressed on her special day. Using essential oils is a great way to naturally relax, there are many ways you can use essential oils. I, of course, prefer to use them in my lotions, but you can also enjoy them in the bath, put them in a foot bath, salt scrubs, on your pillow, on a light bulb, in a diffuser, in homemade soaps, and massage oils. Also: if you are interested in buying your own essential oils, first read this article about How to Identify the Best Aromatherapy Oils and Avoid Toxic Imitators.